RAMESWARAM: Sri Lankan Naval personnel allegedly chased away nearly 3,000 fishermen from Tamil Nadu off Katchatheevu islet and snapped fishing nets of 40 mechanised boats. 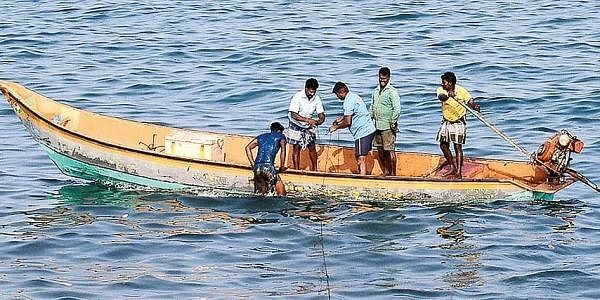 The Lankan Naval personnel cut the nets and chased away the fishermen on charges of entering their territorial waters yesterday, Rameswaram Fisheries department Assistant Director, Kulanchinathan said. The fishermen, who had ventured into the sea from this island town in more than 600 boats, were intercepted by the naval men, he added. The fishermen returned to the shore this morning, the official said. Meanwhile, a Sri Lankan Court today extended till March 7, the remand of 10 Tamil Nadu fishermen who were arrested on February 7 by the Lankan Navy for allegedly fishing in their waters, Rameswaram Fishermen's Association President P Sesuraja said. As many as 33 fishermen and 129 boats are in the island nation's custody, he added.